Hello! 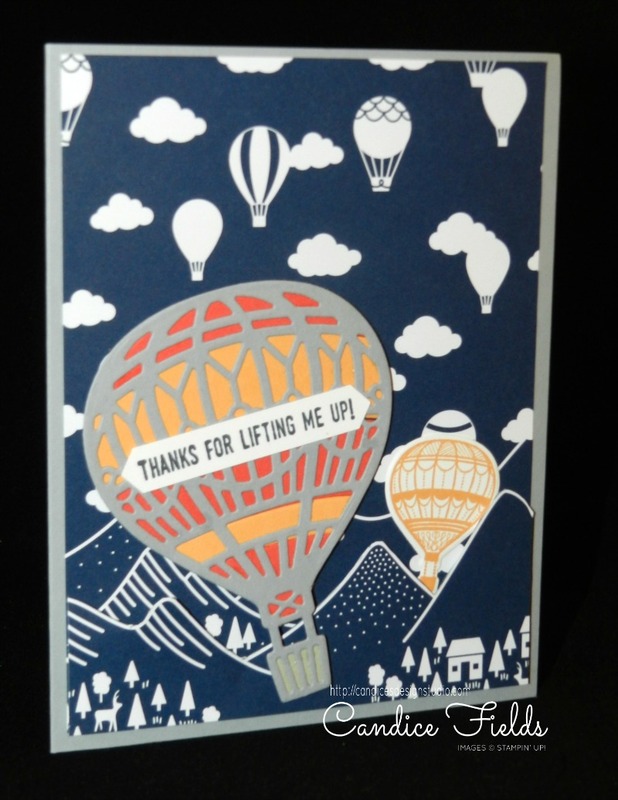 I am excited to share with you a card made with my favorite Sale-a-bration item. I love the Carried Away designer series paper. This paper is so versatile that you can make a 3D scene as I did on my card. I cut some of the mountains and popped it up on my card. 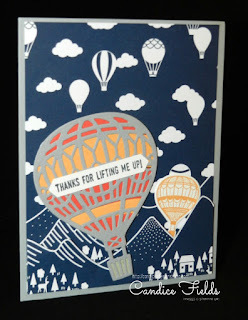 I added one of the hot air balloons to come up from behind the mountains. I cut out the detailed balloon and popped it up off the front of the mountains. I do have one tip for you. When decorating the detailed balloon, it’s better to layer the different colors from the bottom up. When I created this balloon, I started from the top and I had some issues with lining up the layers just right.